Tidal Wave: A Trail is Born! 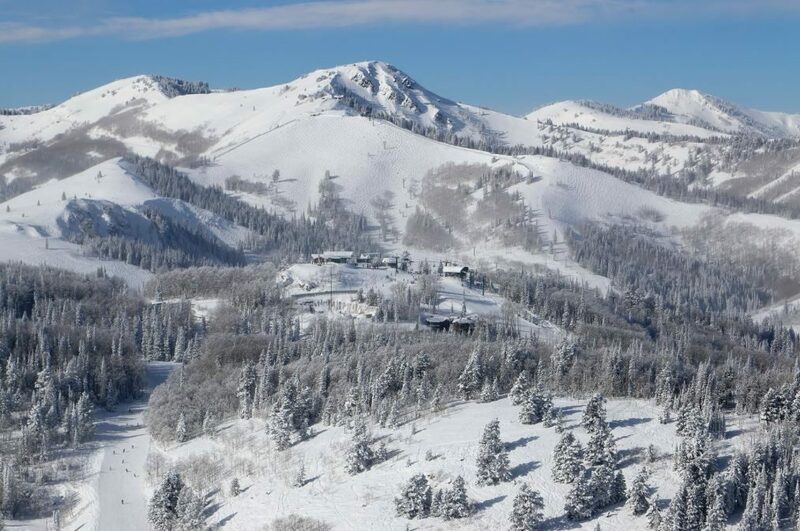 Deer Valley Resort offers great lift-served access to its hiking and mountain bike trails. Every season has seen continued maintenance, upgrades and additions to the network of trails that crisscross its mountains. For the first fifteen years all of the trails were built by hand during the spring and summer seasons. While the work quality was outstanding, the trail crew didn’t have the luxury of moving large obstacles around to create an ideal path; instead, they often had to adapt to the whims of the terrain by going around rocks, stumps or whatever got in their way. More recently, small machinery began to make a huge difference, but still couldn’t always achieve the vision that some trail designers already had in mind. 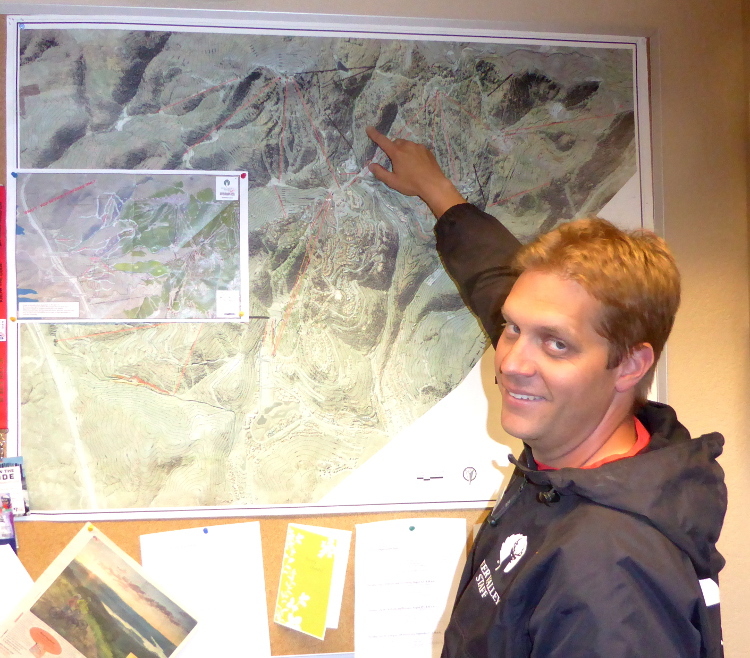 About one and a half years ago, the resort felt that it was time for a more radical trail update to bring new elements that would reflect current riding trends and new mountain bike technology. Enter Gravity Logic. 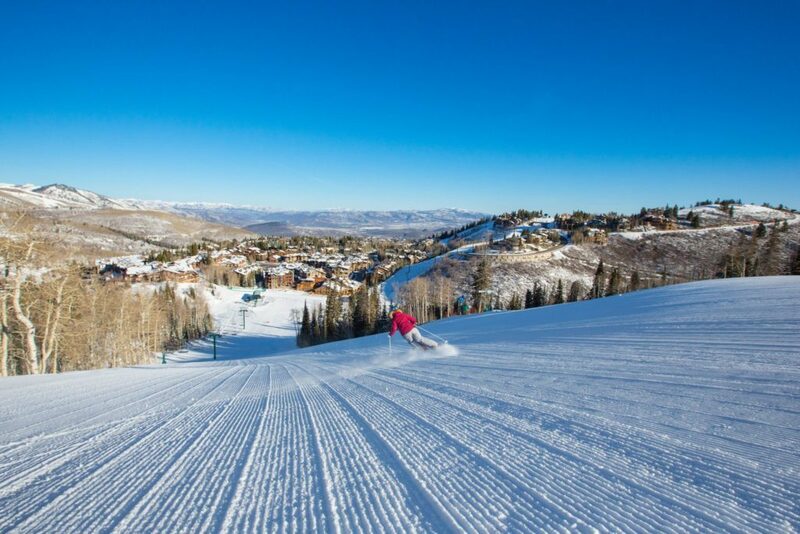 Deer Valley asked the Canadian based consulting company to make a general assessment of the resort’s trails, conduct a feasibility study for new ones and then deliver a master plan of what should be done in terms of upgrade and new trail creation. 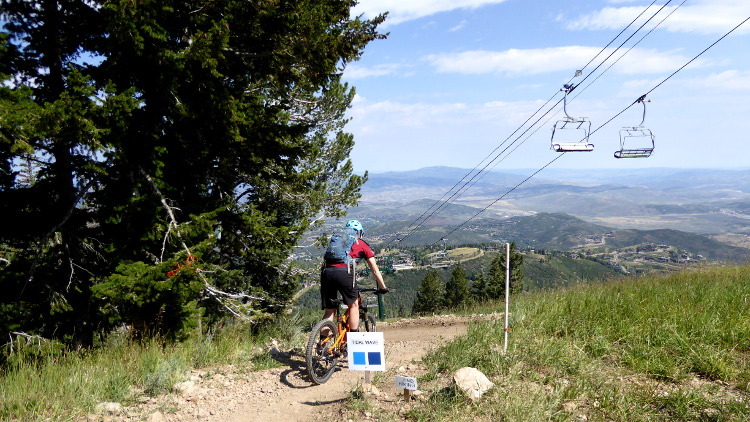 Last fall the overall plan was reviewed and the resort decided on a course of improvements that would help with the trail system’s most pressing needs. The new Tidal Wave trail was created with “riders from five to 65 years of age with varied mountain bike abilities” in mind as Chris puts it. This is not a beginner trail per se, but a “blue-flow” trail designed so that riders from new-intermediates through pro level can all enjoy it. Even though I’m slightly over the above-stated age limit, I recently rode it. 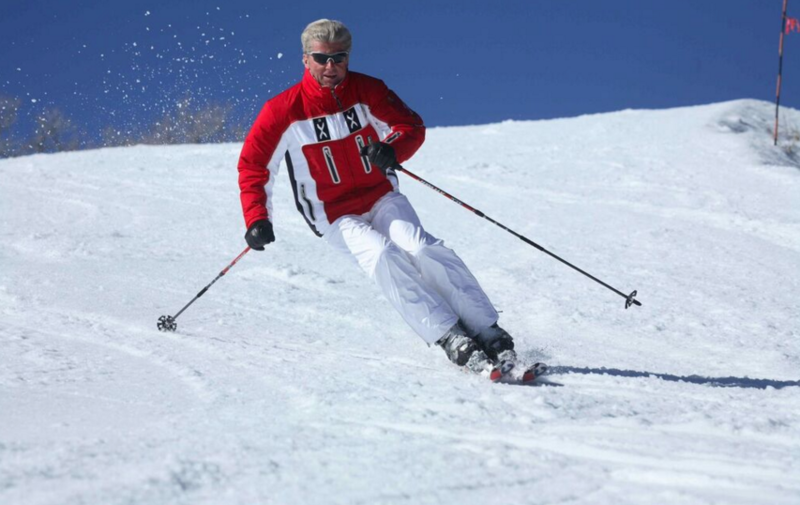 I admit I was intimidated when I came face to face with the trail’s very first sweeping turn. However, the fun thing about Tidal Wave is that it’s been designed to be ridden at various speeds and still be fun. So fun in fact, that it duplicates the feeling of being on a roller coaster while riding a bike. What’s remarkable is that slow riders can co-exist on this trail with faster downhill pros. Gravity Logic has worked on on a wide variety of mountain bike trails for many years and has learned what works and what doesn’t. For example, there are “hubs” built into their designs. These hubs allow riders to stop more frequently, relax, take a break or just let faster riders pass them before continuing their descent. Some of these “hubs” existed in the past, but from now on, they’ll be more ubiquitous. Also, the modern trail design is wider and provides more room to pass. 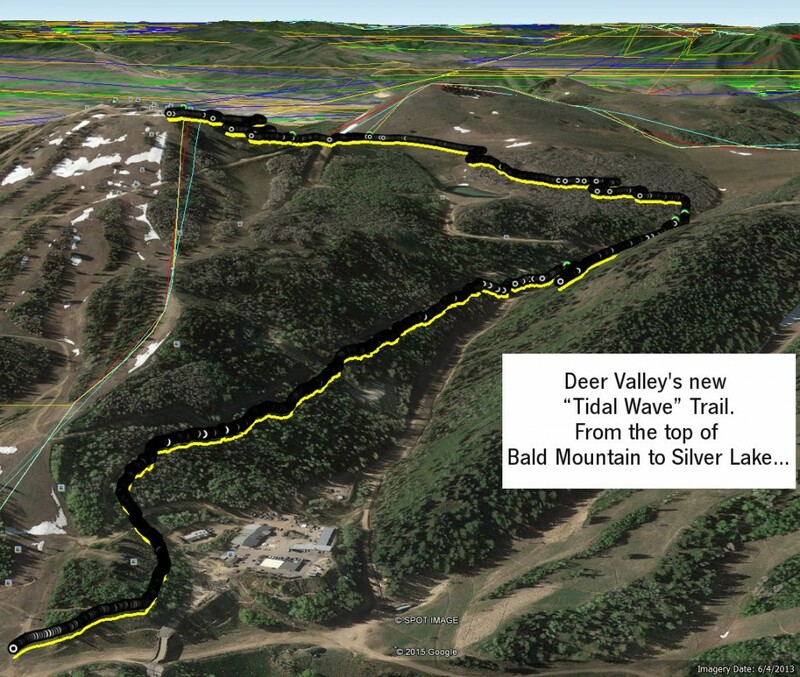 As it promises to change the way riders appreciate Deer Valley’s mountain bike trails, Tidal Wave might be the first step in a transformation that may sweep the entire resort in the upcoming years. 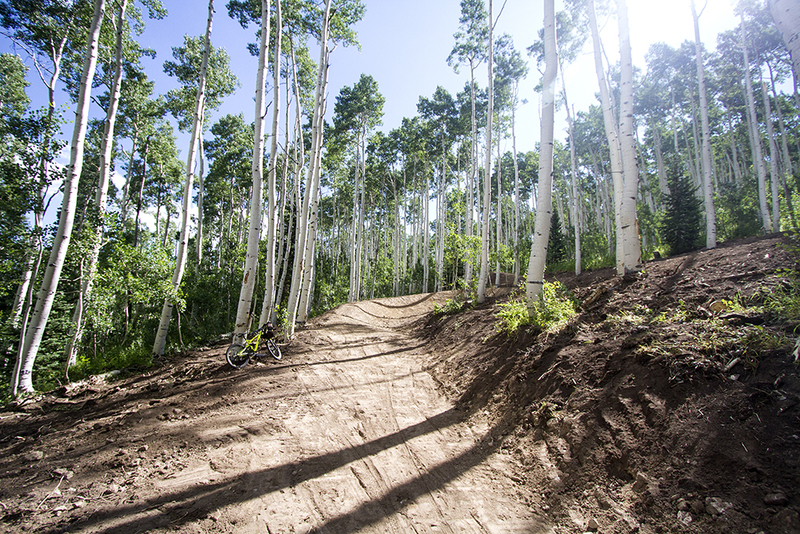 This new development bodes well for the future of mountain biking at Deer Valley. Since summer isn’t over yet, make sure to try the open sections of Tidal Wave soon! There’s no need to wait until its completion at the end of the month to understand and appreciate the shape and thrills of this type of trail design! 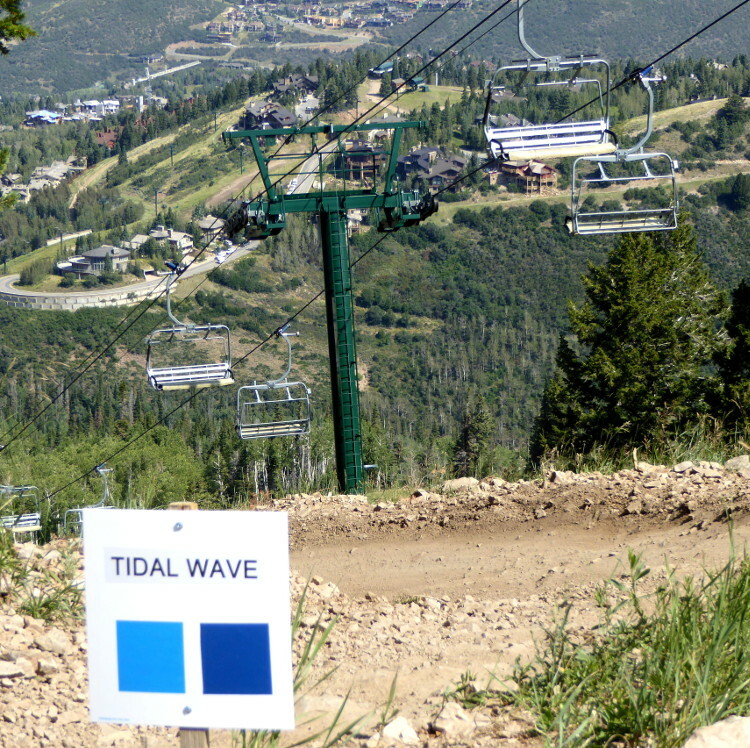 Share your Tidal Wave photos with #DeerValleySummer on Twitter and Instagram.